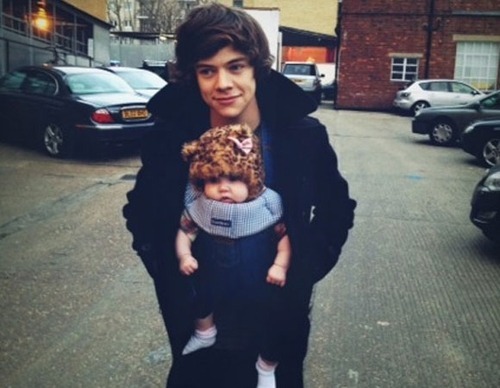 A fan went into labour during One Direction’s Belfast show – Harry definitely would’ve loved to help – MP! Going to a One Direction show is questionable for your health at the best of times, but when you’re 9 months pregnant you might just end up in hospital, like Julie-Anne Kirk, who went into actual labour during the Belfast show on Wednesday. Her little ball of sunshine decided that being born during a One Direction show was the best thing ever, luckily Julie-Anne still made it to hospital. But just imagine being able to say ‘Oh I was born at a One Direction gig’. We’re sure Harry is quite sad for not noticing her during the show since we all know how much he loves pregnant women and babies. 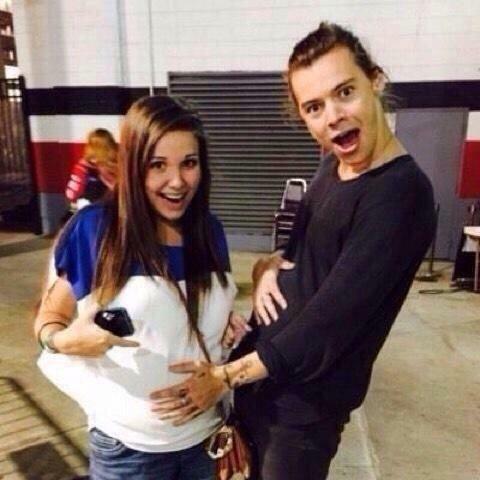 Let’s just recall some of the best Harry loves pregnancy moments in celebration. Remember when Louis and Zayn played a prank on the other boys during iCarly and Harry’s reaction? Beware of the fetus feels. Then there’s the photos of him with pregnant women and babies. 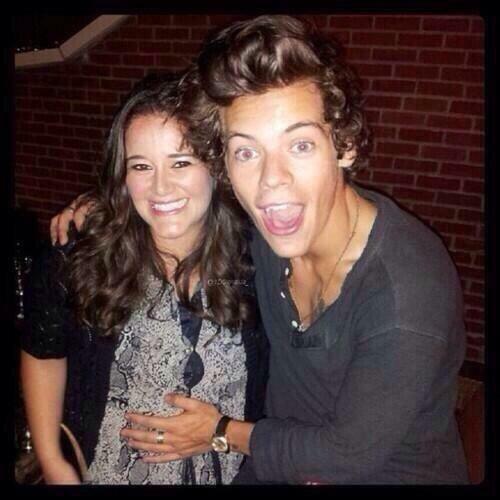 And then we have him pretending to be pregnant.